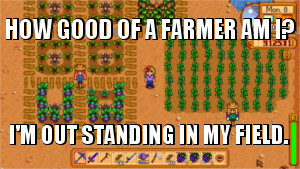 In my case: like Harvest Moon, but I actually played this game. After a little bit of character appearance customization, Stardew Valley begins with a letter being given to you by your grandfather on his deathbed. You’re instructed to only open the letter when the hardships and monotony of the world have gotten you down. “X years” later, you’re just another faceless drone in a multi-million dollar corporation, sitting at a cubicle doing the usual nine-to-five. Your character finally has enough and opens their letter from Grandpa. Turns out, Grandpa was there once too – having lost connections with people and nature. He moved to a farm in Stardew Valley where he felt at home, and now he’s left that most prized possession to you. You board a bus and head there immediately to begin your future career as a farmer. It’s a simple setup, but it actually speaks to me. Just off the bus you’re greeted by the town carpenter, Robin, who takes you to your new farm that is admittedly a wreck. The X years since Grandpa’s death haven’t been kind to the place and it’s in a state of disrepair. Robin and Mayor Lewis assure you that with a lot of hard work, the farm can thrive. The mayor encourages you to go into nearby Pelican Town and introduce yourself to the people there. The next morning you find a bundle with your first seeds. And that’s really it. There’s no twenty-minute tutorial, there’s no lengthy explanation of how to use a watering can, there’re no daily quests telling you to plant certain crops. Stardew Valley takes a minimalist approach in telling you how to play, and it’s a welcome change from so many other games that railroad you through tutorials. That’s not to say that there’s no story or quests – there are, but early quests only introduce you to simple mechanics in the game, and only if you actually want to do them. Mayor Lewis’ suggestion to introduce yourself to the townsfolk is a quest, and if you do that you get an idea of who everyone is, what they do, and you can begin developing friendships with them. Story cutscenes introduce narrative elements and gameplay concepts to you, but they’re never something you have to participate in. If you wanted, you could spend every moment of the game tending to your farm, selling crops, and using the money to buy more seeds. Stardew Valley’s story is what you make it. There are four seasons and each season is 28 days long, each day is 24 hours, and each hour is 45 seconds real time. Night owls will no doubt be disappointed to learn that 2:00 a.m. to 6:00 a.m. is a compulsory sleeping time, meaning that even if you’re out and about working, you’ll pass out at 2 a.m. (and lose a bit of money). Whether you’re going to bed at a sensible hour to wake up with enough health and a full energy bar for the next day or literally passing out in your field each night, you should have enough time in each day to get your work done, plus do whatever side quests you like. On rainy days when you don’t have to water your crops, you may find yourself with enough time to explore the nearby mines for ore to upgrade your tools or earn some extra spending money for farm upgrades. Upgrades come in the form of expanding your house or building barns and coops to keep livestock in. With such a large area to farm, you’ll want to expand. While there’s no real “goal”, I guess one major (still optional) quest is to rebuild the Pelican Town community center. This can take the better part of a year or two, even with really really good luck. You rebuild it by completing bundles of stuff that you get from crafting, mining, farming, foraging, etc. These bundles are collected by little squishy creatures inhabiting the community center who restore rooms as you progress. Restoring rooms gives benefits like increased friendship with townsfolk, reactivating mine carts (fast travel locations), and repairing a bus that can take you to a new area. It’s not something that has to be done, but it’s a good way to occupy your time and a nice goal to work toward. Completing the community center has the added benefit of running the evil Joja Mart out of town and giving a boost to Pelican Town itself. Yay local business! I’ve mentioned the friendship/relationship system a few times, so I’ll go into more detail about that. Each person you meet has a relationship meter displayed as hearts in the menu. You can increase your relationship level by doing side quests for them or by giving them gifts. For some townsfolk, increasing relationship level will get you access to new cooking recipes. For the five bachelors and five bachelorettes, this can lead to romance. Figuring out what gifts your would-be partner likes most is half the fun, and so is some of the dialogue. 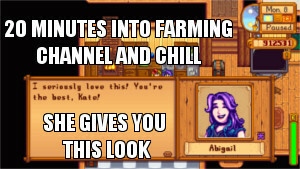 When gifted a diamond, Abigail will ask you how you knew she was hungry and thank you. Strange appetite on that one. At two, four, six, eight, and ten heart levels you’ll be given cutscene events with your partner that further the relationship. At eight hearts you can give them a bouquet to express your love, and at ten hearts you can purchase a special pendent at the beach on a rainy day that serves as an engagement ring. Speaking of the developer, the game was completed in four years by Eric Barone (@ConcernedApe) who did the art, programming, sound, writing, music, etc and is still updating the game. For a game of this depth and complexity, that’s a pretty amazing feat. Stardew Valley is a seemingly simple game with a lot of depth. The art style and music are reminiscent of the SNES era of games and add to the game’s considerable charm. I’ve put nearly 70 hours into the game and I could probably do at least another 70. It’s so easy to get wrapped up in the game and play for several hours at a time. I can’t tell you how many times I decided to do “just one more thing” before turning the game off, only to put another hour into it. For me, it’s a much-needed change of pace from the over-elaborate fancy graphics and action of modern games and a return to a time when games had style and heartwarming charm. It sort of reflects the premise of the start of the game – being worn out and having your spirit crushed by modern life and wanting to escape to something more simple and down to earth. If that sounds appealing to you, you can’t do much better than this game. This entry was posted in Reviews and tagged author: kate spencer, video games by queenanthai. Bookmark the permalink. 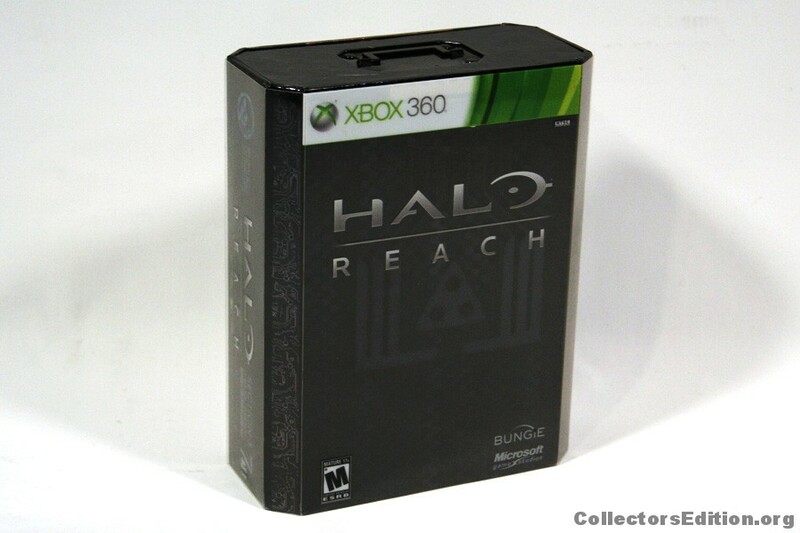 Now I am reinstalling this game to give it another go. One thing I always disliked about these farming sim types is the time mechanic. I always fall into a trap of “plant seeds/water/sleep/water/sleep/water/sleep” etc until the plants are done, foregoing anything else the game might offer.